Consolidation is the name of the game for AUD/USD! 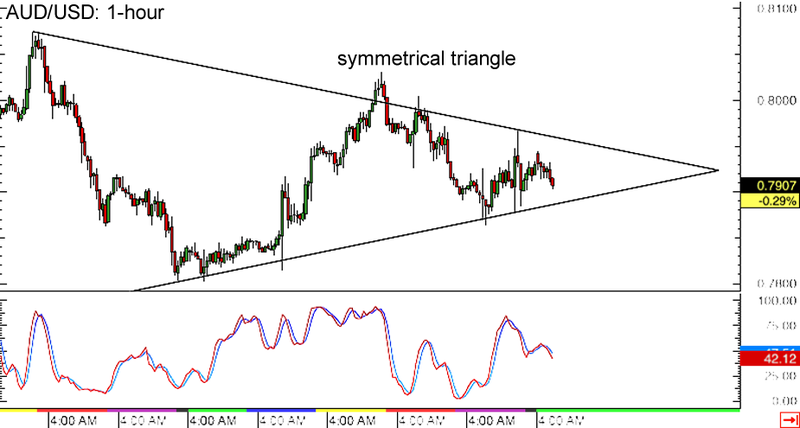 The pair has been forming lower highs and higher lows, creating a symmetrical triangle pattern on its 1-hour forex time frame. Price looks ready to test the triangle support near the .7900 major psychological level, as stochastic is moving lower and indicating that sellers are in control. If Aussie bears are strong enough, they could push for a break below the triangle support and spark further losses for the pair. On the other hand, if a bounce off the bottom of the triangle takes place, another test of the triangle resistance at .7950 might be in the cards. Heads up, euro bears! 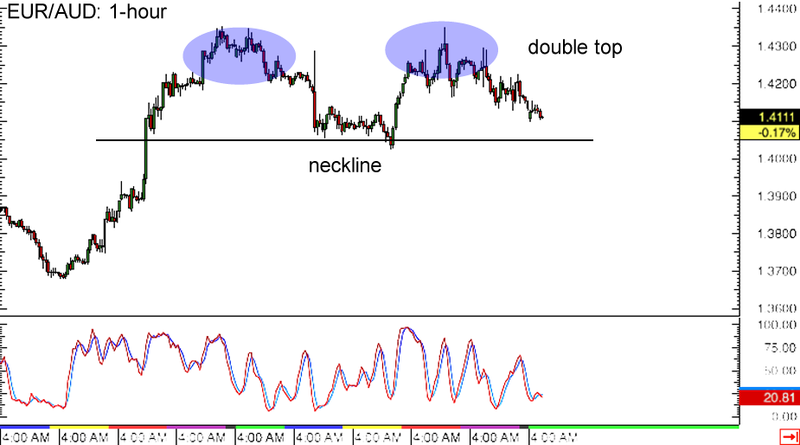 EUR/AUD is forming a double top pattern on its 1-hour forex chart, which suggests that the pair is already exhausted from its climb. Price has yet to break below the pattern’s neckline around the 1.4050 minor psychological level before confirming the potential selloff, which might last by around 300 pips. For now, stochastic is moving out of the oversold area so sellers might still be hesitant to push the pair any lower. If the neckline support keeps holdin’ like a boss, EUR/AUD could bounce back up to its recent highs around the 1.4350 minor psychological mark. Is AUD/JPY ready to bounce? 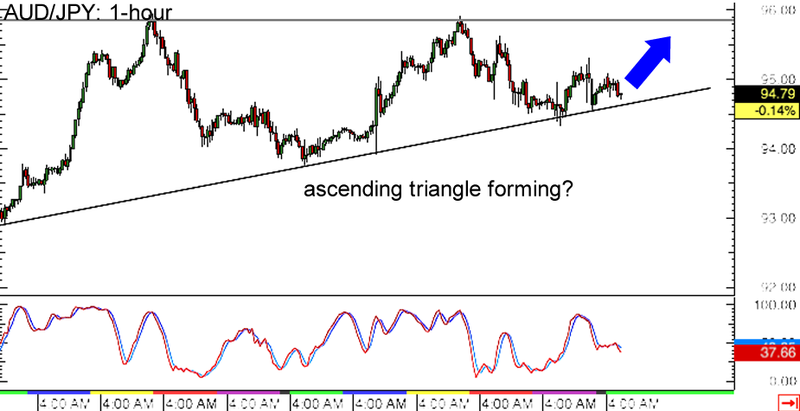 The pair is finding support at the bottom of the ascending triangle chart pattern forming on its 1-hour forex chart. If this area keeps losses in check, a bounce back to the top of the triangle near the 96.00 major psychological resistance could be seen. However, stochastic is pointing down, which means that Aussie bears are still in control of price action for now. A downside break of the triangle support might be possible and this could push the pair down by roughly 300 pips, which is the same height as the triangle formation.